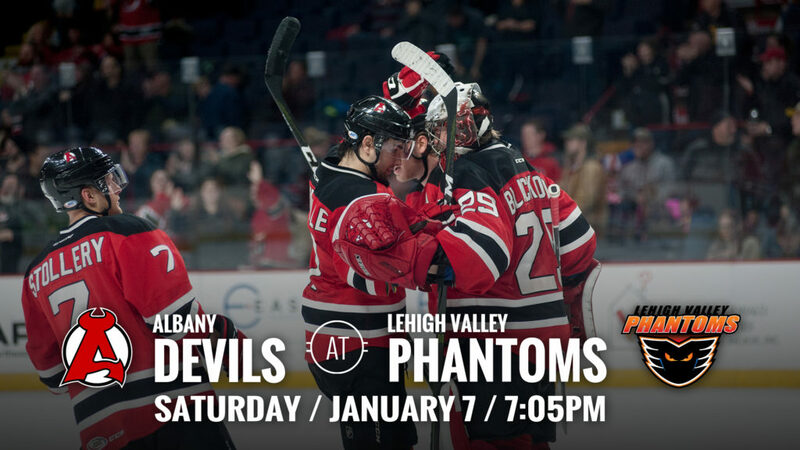 ALLENTOWN, PA – The Albany Devils travel to Lehigh Valley for a 7:05 pm puck drop against the Phantoms Saturday at PPL Center. 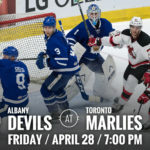 Both teams are coming off losses Friday night. 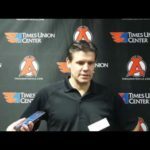 The Phantoms fell 2-1 at Hartford and the Devils lost 4-2 in Utica. 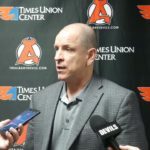 Lehigh Valley stands at second in the Atlantic Division with a 21-9-2-0 record. 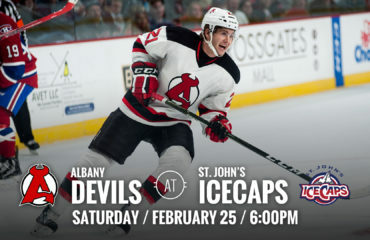 The Devils stand at second in the North Division at 20-14-1-0. 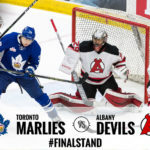 MacDonald’s First: Jacob MacDonald was signed to a PTO by the Albany Devils from the Toledo Walleye Thursday. 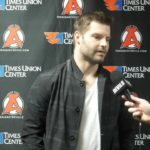 In the Devils game at Utica Friday, he earned his first ever AHL point when he got the secondary assist on Blake Coleman’s goal. This was just his second career AHL game having only played one other AHL game with the Springfield Falcons last year. 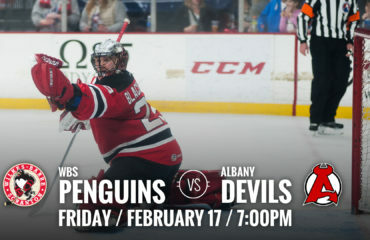 Starting 2017 Off Right: Although the Devils’ four-game win streak was snapped Friday in Utica, Blake Coleman was able to keep his own point streak alive extending it to three games. On Jan. 1, Coleman netted a goal, adding two tallies and an assist on Jan. 4, while he was able to pick up one goal and one assist on Jan. 6. 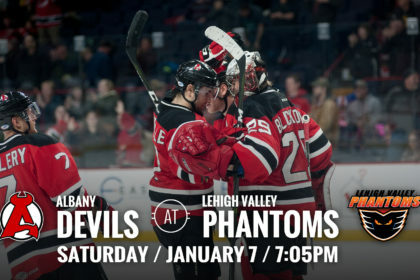 Distance Makes The Heart Grow Fonder: Since moving to Allentown from Glens Falls, the Albany Devils are 6-0-0 against the Phantoms. They currently hold a 3-0-0 record at PPL Center.